Crane shots are movie shots taken by a camera attached to a crane or jib. They are most often used to film the action from above or to move up and away from it, a common way of ending a movie. 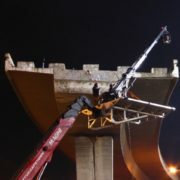 Crane shots are usually made using special cranes with extensible booms, such as the Supertechno 30. Because we do so much work with film sets in Cape Town, we decided to come up with our own solution for getting the perfect crane shot. 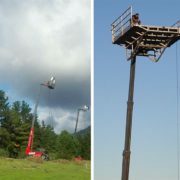 First we built a custom-designed camera platform that can be carried by a mobile crane telehandler. 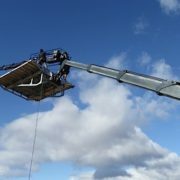 This platform can carry a camera with operators over rough terrain, and its extensible boom can extend high over a scene being filmed. But that’s not all! We also designed the platform to be able to carry a Supertechno camera crane. You can see the setup in the photo below. In effect, you’ve got a camera crane on a mobile crane. What a combination! 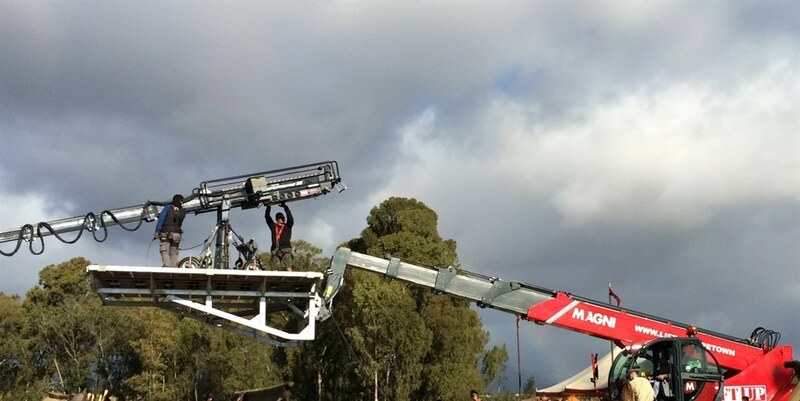 A Magni 5.30 telehandler with camera platform carrying a Supertechno camera crane and operators. 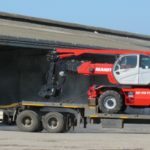 Telehandlers such as the Magni pictured above can drive over rough terrain, so they can work on sets in really challenging outdoor conditions – something conventional camera cranes just can’t do. 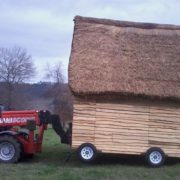 If you’ve got a challenging film or advertising shot that needs super long reach and mobility, give us a call and we’ll put our telehandler/camera crane to work.